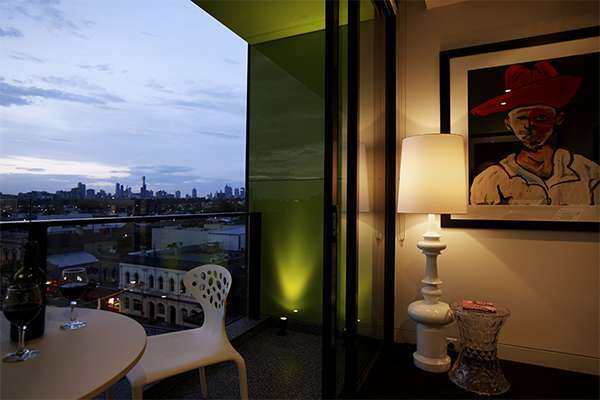 For boutique accommodation in Melbourne, The Cullen's Street Art Suites bring the spirit of the city's laneway culture into the hotel. Enjoy the Art Series experience with signature bedding and amenities, combined with one of a kind artwork created by acclaimed street artists. 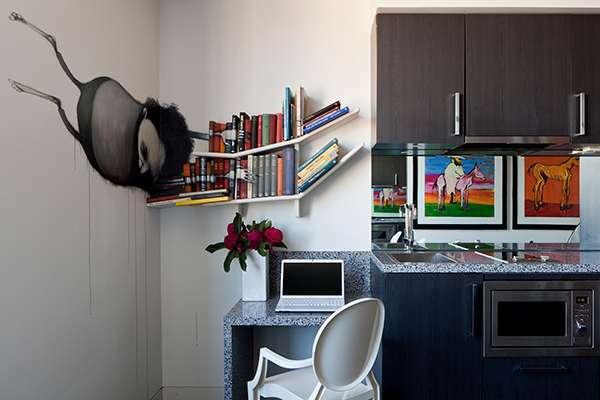 Each of the limited Deluxe Studio Suites features a personalised stamp left by the artist as well as Adam Cullen artworks and art books to create an immersive art experience. 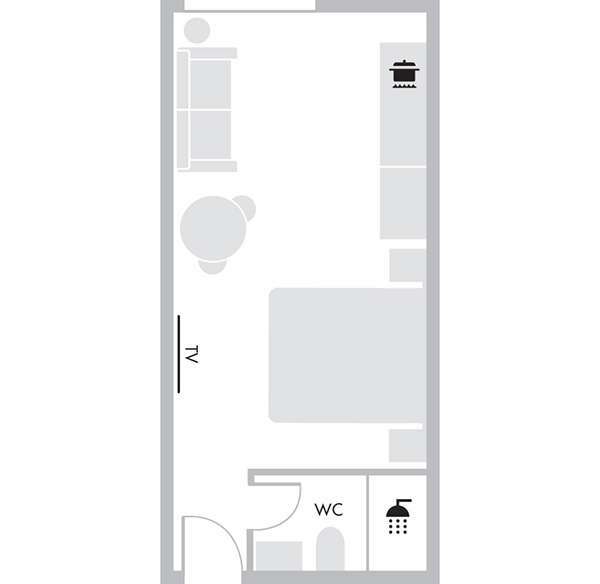 Stretch out with open plan working and living space, or be inspired to create your own masterpiece in the state of the art kitchenette. 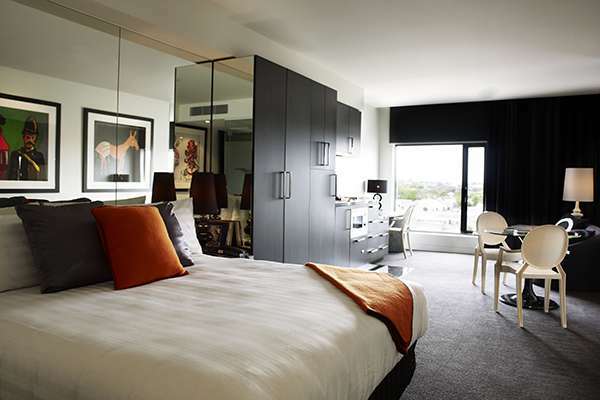 At the end of the evening, sleep soundly in one of our Art Series signature beds. During your next stay at our boutique accommodation in Melbourne's desirable Prahran suburb, take yourself on an adventure by discovering all the Street Art spread throughout The Cullen. 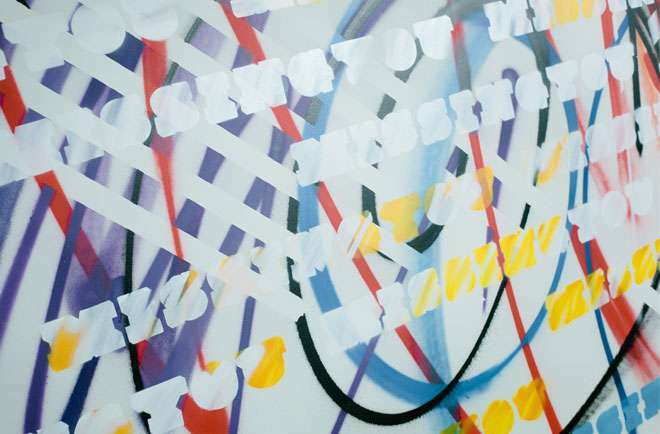 The Cullen has partnered with UK street artist Ben Eine, a pioneer in the exploration of graffiti letterforms, to create a one-of-a-kind artwork. While visiting Melbourne, Eine was our Artist in Residence spending two weeks making over this suite with elements of his distinctive typographic style. Titled ‘Missing You’ the artwork is a love letter to his French girlfriend and brings the spirit of Melbourne’s laneway culture into the hotel. Eine first came to prominence in the ‘commercial’ street art scene through his working relationship with London graffiti artist Banksy. Specialising in life-size wheatpaste prints and paper cut outs of figures, New York street artist Swoon is in a league of her own. Regularly pasting works depicting people, friends and family, she draws great inspiration from German expressionism and Indonesian shadow. Uncover Swoon’s muse for yourself while sleeping comfortably in her Room. Widely credited to the be the originator of stencil art, Blek le Rat is best known for his rats, symbolising the urban environment as ‘the only free animal in the city’. 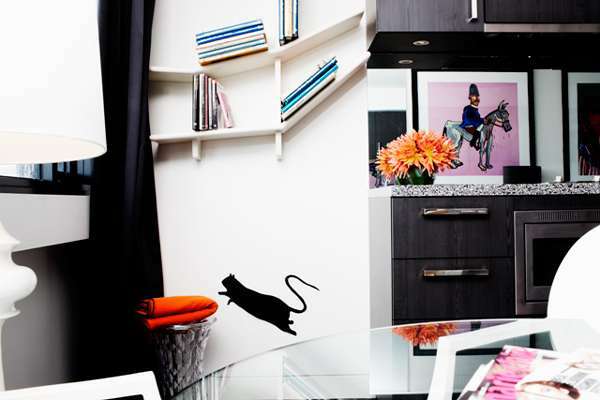 Spot the rat in Blek Le Rat’s room, as well as the random ones throughout the Hotel. London born and bred, D*Face originally trained as an illustrator before embellishing the streets of London with his wry interpretations of pop culture. 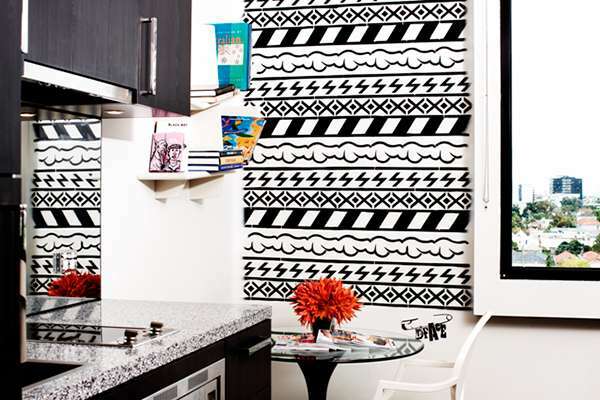 Sleep soundly in the D*Face Room with graphic black and white horizontal stencil art emblazing the walls. Artist Stormie Mills is the first Australian street artist to be honoured with a street art suite at The Cullen hotel in Melbourne. Best known for his character based work; Stormie explores the idea of isolation and the human condition, drawing on his time as a homeless adolescent for inspiration.